Depends, I guess, on how big a hockey fan you are, but if you’ve got tomorrow circled on the calendar, chances are you’re either eagerly looking ahead to the start of a new NHL season or else counting down to the annihilation of the world by fire, which several Christian groups say is imminent. You might also be Russian President Vladimir Putin, who’ll be turning 63 on Wednesday. Whatever may be happening elsewhere, it’s hard to see him altering his birthday plans. 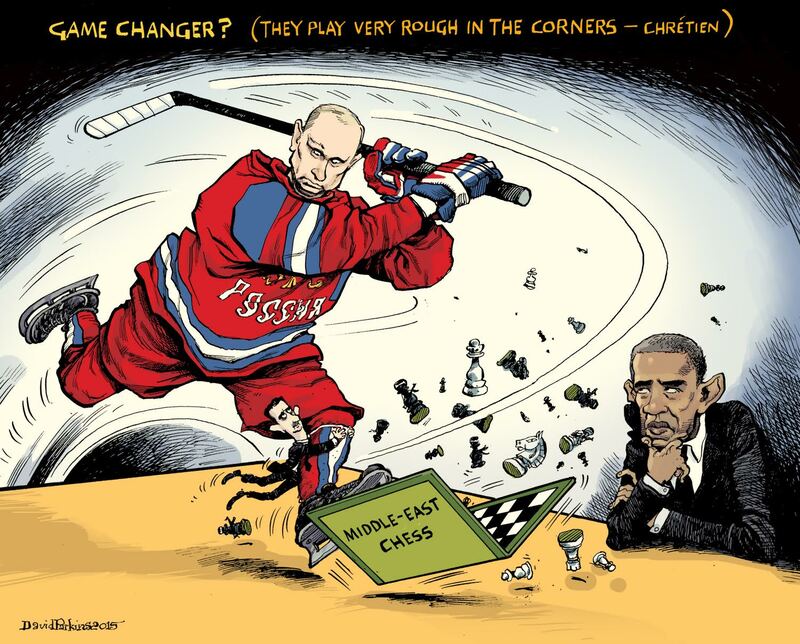 “Tomorrow, Putin will play hockey,” the presidential spokesman, Dmitry Peskov, announced today. He’ll be spending the big day in Sochi, Russia, skating with a gang of old friends, oligarchs, powerful politicians, and hockey heroes. RIA Novosti recalls that the last time the Russian leader played in Sochi was at a “gala match” in May, when Putin’s team Armageddon’d the other guys 18-6 on the strength of eight presidential goals. This time out, he’ll be joined on the ice by the Rustam Minnikhanov, president of the Russian federal republic of Tartarstan, and Russian Defence Minister Sergei Shoigu, along with the brotherly gas and power oligarchs Arkady and Boris Rotenberg. I don’t know whether there’s room for them on Putin’s team, whose line-up already includes actual hockey players like Pavel Bure, Vladimir Myshkin, Vyacheslav Fetisov, and Alexei Kasatonov. They have, the Russian press is reporting , already prepared a little surprising something for Putin. Fetisov also testified to the president’s outstanding physical fitness. They scrimmage together often in Moscow; according to the former Soviet captain, they can sometimes skate for a half-hour without Putin showing any fatigue. This comes not quite a week after former Canadian prime minister Jean Chretien suggested that Canada should be glad of Russia’s military efforts in Syria. 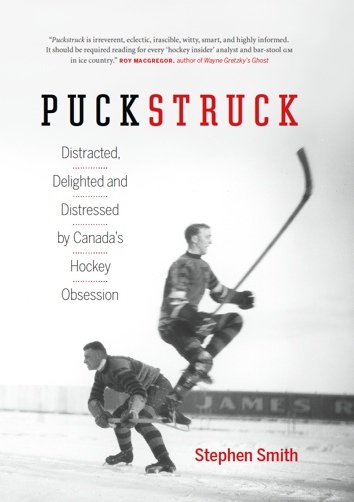 Campaigning for Justin Trudeau’s Liberals in British Columbia last Thursday, Chretien opined that the West shouldn’t scorn Russia’s involvement in the fight against the Islamic State because … well, as mentioned, he’s a hockey player.